Wonderfully maintained 2-story home w/full, unfinished basement in desirable NW Hickory location of Hutton Estate! 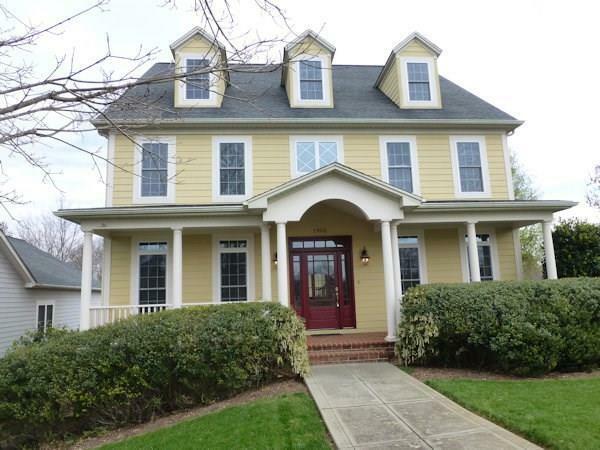 4 BRs & 3.5 baths + upper level den & office/playroom. Corner lot, double garage att, shared driveway, & approx. 3372 heated sqft. The main level offers an inviting foyer, formal dining room, den/family room w/gas log FP & access to the private back deck, the master bedroom suite, & the open kitchen (breakfast island, granite countertops) and breakfast area + the laundry room. The main level MST bedroom has tray ceilings & its own private bath (dual sink vanity, tile floors, tiled shower, whirlpool tub, & walk-in closet). The upper level has 3 BR & 2 full baths (one bath is a "jack-n-jill & the other bathroom is in one BR) + an office/playroom(no closet) & a den area. Hardwood flrs throughout except tile in the baths & laundry room. The full basement is unfinished & has tall ceilings...ready for expansion if wanted. Rocking chair front porch, back deck, & lower patio!